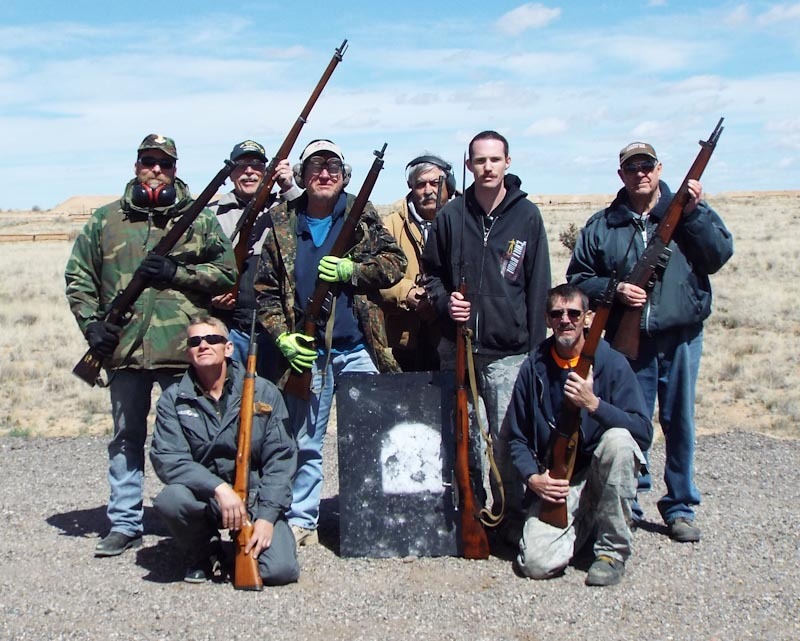 New Mexico Military Surplus Rifle Pistol Shooters or simply called NM MILSURPS was formed by three members, Rob Summerhill, Ron Duncan, Sr. and Patrick Hernandez back in 2005 after meeting at a shooting match in mid-2004 where we competed with our military surplus rifles. What we discussed at the time was what are these firearms capable of doing at long distances beyond 200 yards and how accurate could they be at longer distances. It was decided that we should form a shooting club where we could get like minded individuals such as ourselves using these firearms at longer ranges. The basic rule we formed for the club is that all the firearms that NM MILSURPS members will use in the monthly match competitions shall be unmodified originally configured surplus military service firearms (single-shot, bolt-action or semi-automatic) that were or that still are issued in all the world's standing armies such as the Springfield 1903, Mauser, Mosin-Nagant, Lee-Enfield, SKS, M1 Garand, FN FAL, CETME, Colt 1911 and many others. The firearms themselves must be ones that that were issued to ordinary soldier who used these firearms in the various armies in both the past and present. The iron sights must be the original style as issued on the firearms which does not include in any aftermarket, target, match adjustable sights or micrometer sights as these were not issued to the ordinary soldier. All Scoped rifles that are used must be the period as issued scopes and mounts, again no aftermarket type scope or mounts allowed. Cloned copies of the original mounts and optics are allowed. The only exception to this rule shall be a documented photograph of a modified sight held by a soldier in combat or on an experimental firing range. We were able to secure the 4th Saturday of every month with the Albuquerque Shooting Range Park located on the West-side of the city for our matches at the 50 – 500 Meter / 300 – 1,000 Yard Range where we shoot at different types of targets (steel or paper) at various ranges from anywhere 10 meters to 500 meters or 300 yards to 1000 yards depending on the type of shoot we are going to have for that month. We have had quite a few different types of shoots ranging from stationary, pop-up and moving type targets and from different shooting disciplines; off-hand, sitting, kneeling and prone supported or un-supported. Some of the different types of shoots we have had are ; Carbine and Pistol combination match on both moving and non-moving steel and paper targets; Combination Shooting at 200, 300, 385 and 500 meters; 800 yard; .22 LR Military Training Rifle Match; Russo-Finnish Winter War (1940) Match and our yearly ‘The Guns of August’ in which the shooter uses firearms that were used by the various belligerents during The Great War (WWI). If a month has a 5th Saturday in it, we hold a scoped military rifle match on that day and targets are randomly placed through out the range from one of the shooting pads at varying distances unknown to the shooter. One of our primary purposes is to promote the safe shooting of all nations’ surplus military rifles, pistols and shotguns as well as learn about the firearms that we use in these matches. At every match we will encourage someone teach the other members about the firearms they have brought especially the history of them like, which nation made them, which wars or battles were they used in, how long were they in service or still in service, etc.. Quite a few of our members are very knowledgeable on most of these type of firearms and are glad to help you learn more about them, how to shoot them accurately, help in repairs and reloading your own cartridges for them. 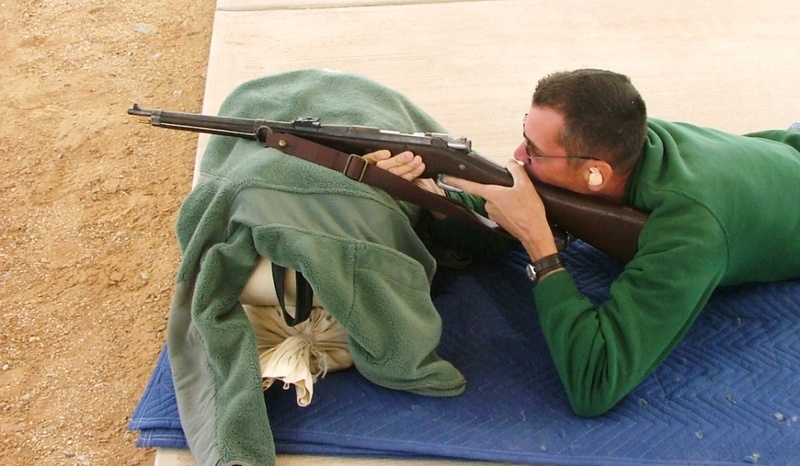 NM MILSURPS has been featured on both the NRA Internet news organizations, NRA Blog and NRA News and recently by Ian McCollum of Forgotten Weapons fame. Club Dues are $100.00 a year which may be paid by personal check, money order or in cash at any one of our shoots. Guests can participate at our Official Match Days listed below for a fee of $10.00 per shoot, we look forward to having you at one of our shoots.